Citruses scream summer and tropics and they are super refreshing, besides citrus aromas are waking up, vivacious and bold. These fruits have a lot of vitamins, so I can’t name a better ingredient for any cosmetics and makeup. 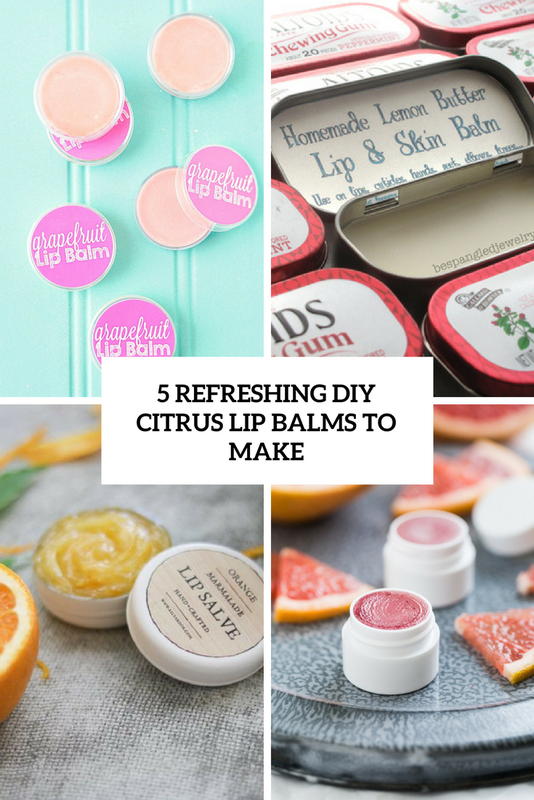 Today I’ve prepared a roundup of DIY citrus lip balms for summer, make some to refresh and vitaminize your lips. 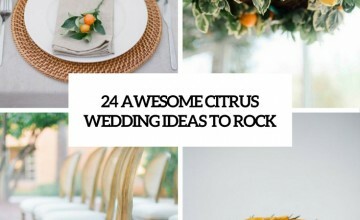 The first tutorial is about a grapefruit balm – this is a non-typical citrus, which has a very bold smell and all the cool properties of citrus fruits. An assortment of natural oils will make the lips super soft, and the cool pink color is very cute. It’s not only a nice balm but also a great gift for any girl. This isn’t only a lip balm but also a hand moisturizer, too! It’s a perfect solution for dry lips and hardworking hands. The shea butter and cocoa butter blend to form a creamy ointment that soothes the skin. 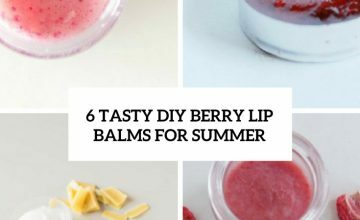 Make several tins to take with you and moisturize everything that is dry when needed. Lemons are classics, this fresh smell always works! And here we go again with a very rich moisturizer that can be used as a lip balm, cuticle cream, moisturizer for hands, feet, elbows, knees, body, etc. coconut and sweet almond oil will soften the skin, and the fresh lemon scent is great for summer. 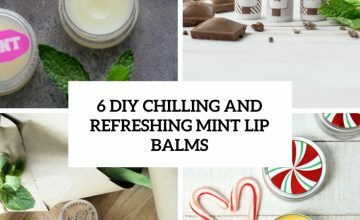 This gorgeous lip salve is very soft and is sure to repair even the driest skin as it’s made using Vaseline, honey and some orange syrup. Smells like delicious orange marmalade! What can be better for summer? 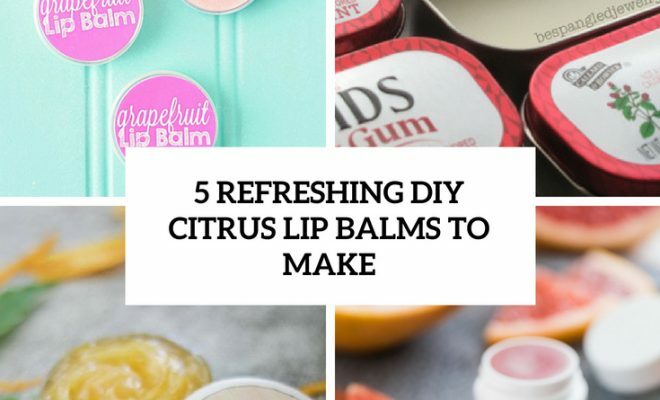 This grapefruit lip balm will give a light pink shade to your lips and it can be very fast and easily made in just 10 minutes, which makes it an ideal last minute gift for any girl. Coconut oil provides an immediate softening, the shea butter kicks in some long lasting protection with it’s waxier consistency, and the castor oil gives you superior softening and a beautiful gloss.